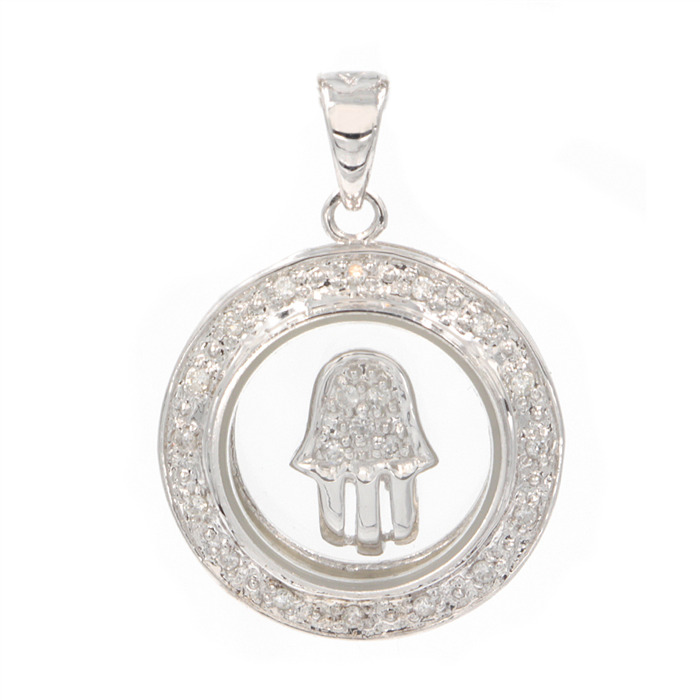 A unique pendant with a diamond hand or "HAMSA" in the middle that spins. The movement is definitely an eye-catching effect but the pendant goes beyond the novelty feature. 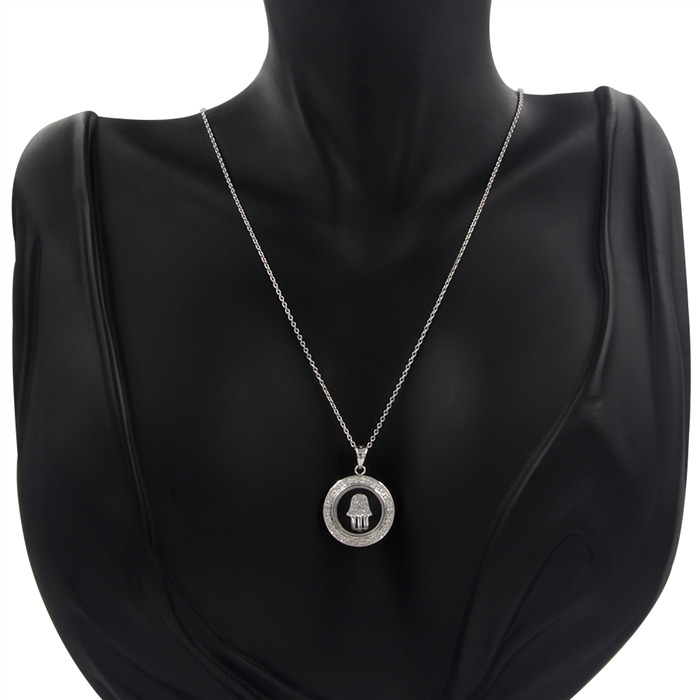 Set in 14K white gold and accented with diamonds this pendant is a beautiful and meaningful everyday elegant accessory.